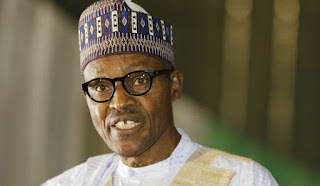 President Muhammadu Buhari Monday in Abuja said his administration would continue to welcome support and investments from the international community in the agricultural and solid minerals sectors as Nigeria moves to reduce dependence on crude oil. In a farewell audience with the outgoing Ambassador of the Republic of Sweden to Nigeria, Svante Kilander, in the State House, President Buhari said the Federal Government would create the enabling environment for local and foreign investments in farming, animal husbandry, fishery and the exploration of solid minerals. The President said a planned visit by some Swedish trade and investment delegations to the country later in the year would further encourage the ongoing process of diversifying the Nigerian economy. Mr. Buhari commended the Swedish government for the support extended to Nigeria in catering for the needs of Internally Displaced Persons (IDPs) in the North East and the ongoing reconstruction of the areas affected by terrorist attacks. In his remarks, the Swedish Ambassador said his country was pleased with the sweeping changes taking place across the country with clear results in the fight against terrorism and corruption. Mr. Kilander said his country would continue to strengthen bilateral relations with Nigeria by encouraging more trade and investments between both countries.